Ideal for ICLASS SE installations in harsh environments and can be used for a range of diverse applications. 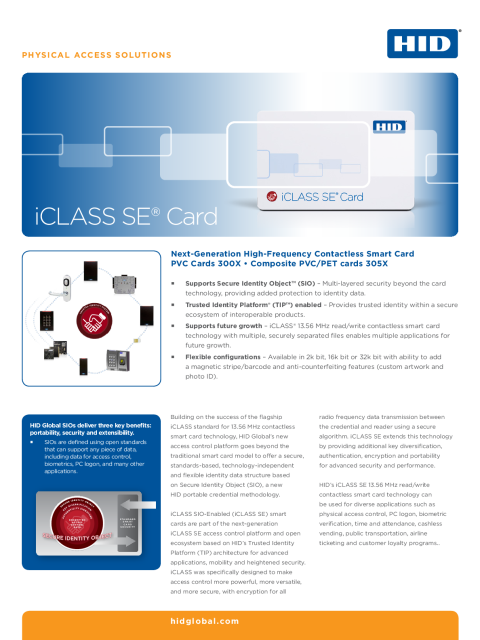 Highly secure dual-technology UHF long read range smart card for parking & gate applications with support for MIFARE® Classic applications. Broadest range of open standard smart cards. Provides the memory structure and capacity to store multiple applications on a single card. Ideal for SIO-Enabled (SE) installations. Broadest range of open standard products. Provides the memory structure and capacity to store multiple applications on a single card. Ideal for SIO-Enabled (SE) installations. High security ultra high frequency smart card for gate and parking applications. 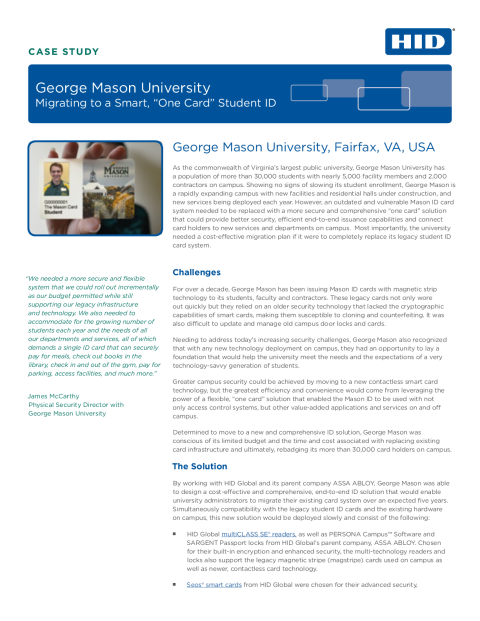 SIO-enabled smart card provides versatile interoperability and supports multiple applications. Dual technology access control solution for customers migrating from 125 KHz Proximity to iCLASS SE (13.56 MHz) high security to support multiple applications.